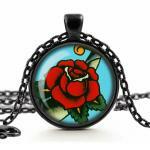 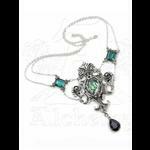 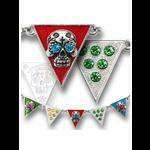 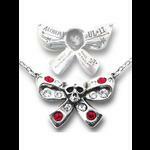 A stunning necklace from Alchemy Gothic. 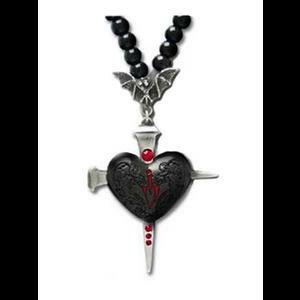 The black enamel engraved heart is pierced with two pewter stakes, one of which has embedded red crystals representing droplets of blood. 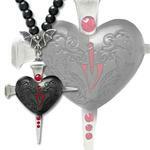 A little pewter bat sits above the heart. 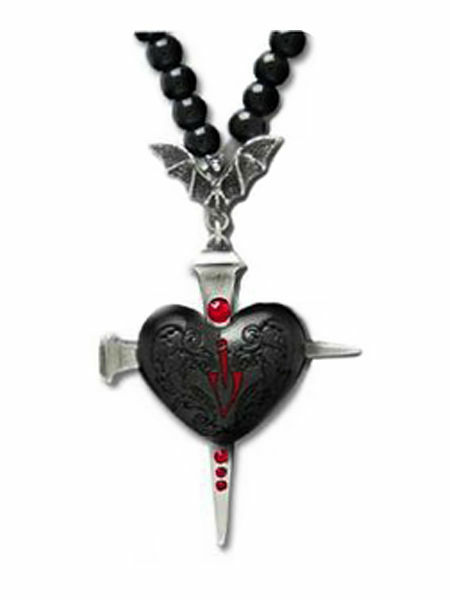 The pendant is attached to a glass beaded necklace with lobster claw clasp. The back of the stake is engraved with the word "DRACVL" and an indiscernable date! 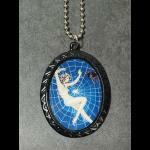 Highly detailed and very collectable.